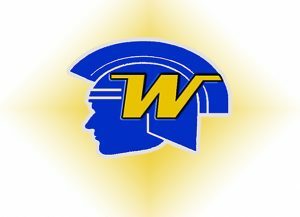 After winning the past two Section 6AA championships, Wayzata’s boys hockey team fell hard in the section title game Wednesday as Edina scored three first period goals on the way to a dominant 8-1 win over the Trojans. The first quality chance for either team resulted in a goal as Edina’s Demetrios Koumontzis slid the puck between Trevor Wong’s pads a little under five minutes into the game. The Hornets added a power play goal less than two minutes later on Ben Brinkman’s shot from the point. Max Borst added a rebound goal later in the first period as the Hornets took a 3-0 lead into the first intermission. Mason Nevers converted a great feed from Jett Jungels on a two-on-one rush just forty seconds into the second period to increase Edina’s lead to 4-0. Colin Schmidt scored for Wayzata to cut the deficit to 4-1, but the Trojans never got back in the game and the entire third period was played with running time because of Edina’s six-goal lead.